The Kewanee Park District Summer Community Theatre will be hosting its second annual summer theatre season auditions! Please see below and visit our website (kewaneetheatre.com) for more information! -A willingness to have fun and be goofy! * Auditions are for BOTH productions. You only need to come to ONE of the audition days. Your audition should last around 15 minutes and is first come, first serve. Choose a time that works best for you between 4-7pm on the 15th and 16th! Note: Due to the amount of interest and the number of roles available, not all who audition will be casted. Unfortunately, no one is guaranteed a part in our shows. We will be calling back those we would like to see more of for the SPELLING BEE ONLY before making a final decision on May 17th. The cast lists are anticipated to be posted on Friday, May 18th on the KPDSCT website and the KPD Facebook page. Please do not be discouraged if you are not a part of this year’s cast! We would love if you were involved in another way, whether it is part of our stage crew, helping paint our set, in the pit orchestra, and so on! The Kewanee Park District Summer Community Theatre is an equal opportunity theatre and does not discriminate against race, age, sexuality, religion, gender, and so on. 2017 has seen a lot of firsts for the Kewanee Park District and we are happy to say sponsoring a summer community theater program is one of those firsts! Joseph and the Amazing Technicolor Dreamcoat is a well know comedy with lyrics written by Tim Rice and music by Andrew Lloyd Webber. 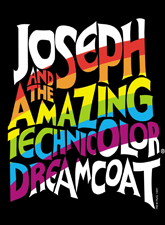 Joseph takes the Kewanee High School Peterson Auditorium stage July 7-8 at 7:30pm and July 9 at 2:00pm. Told completely through song with the help of a mischievous narrator, Joseph is a reimagining of the classic biblical story of Joseph, son of Jacob, and his eleven jealous brothers. Utilizing various music genres such as calypso, French ballads and country-western, we see Joseph go through trials and tribulations that are caused – and saved – by his ability to interpret dreams. Filled with scheming brothers, an oblivious father, a rock’n’roll Pharaoh, and much more, Joseph and the Amazing Technicolor Dreamcoat will have you laughing from song to song. Joseph is directed by the Kewanee Park District Summer Community Theater founder and KHS graduate (’13), Ellen Johnson. Johnson felt as though “there were limited opportunities for people outside of Kewanee High School to really get involved in theatre. I wanted to create an equal-opportunity theatre that anyone in the area could be a part of, no matter their experience, age and so on.” Joseph features a cast ranging from 8-66 years old, some of which had never been a part of a theatre performance before. “Joseph and the Amazing Technicolor Dreamcoat was the first production that I had ever been in and it instilled the love of theatre in me from then on.” For Johnson, it only made sense to share the joy that theatre brings her with her community. Brought to you by the generosity of the Kewanee Park District, Joseph and the Amazing Technicolor Dreamcoat is a family friendly comedy that takes the Petersen Auditorium stage located on the West side of Kewanee High School on July 7-8 at 7:30pm and July 9 at 2:00pm. Tickets are $5.00 and will be sold at the door beginning 45 minutes prior to the show. Stop in for an hour and fifteen minutes of non-stop fun! Visit http://Kewaneetheatre.com or contact Ellen Johnson at Lnjohnson54@gmail.com for more information.